You guys, today I'm sharing what I think is one of the best kept secrets! 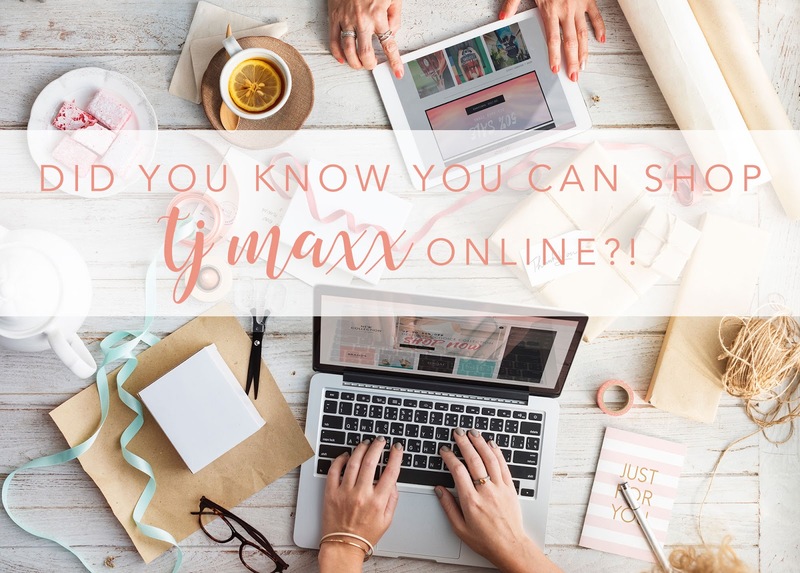 I've talked about it a few times on Instagram Stories, but I feel like many people are still surprised to hear you can now shop at TJ Maxx online! I discovered this about a year ago (not sure how long they've been doing it), and it has been one of my best bargain shopping weapons. If you know me at all you know I love TJ Maxx. My co-workers and I have a joke that they know where to find me on a Friday at 5, because pretty much every week after work I hit TJX to see what's new : ) For some reason Wichita has a bit of a shortage of home decor shopping options, and the ones we do have are pretty pricey. So a lot of the items in my home have come from TJ Maxx over the years. So you know I was pretty thrilled to find out I could shop online without even having to leave my house! Buy It When You See It Just like in store, you never know exactly what will be available and the quantities are limited, so scoop it up if you see something you love! Items Are Similar to What's In-Store I like to check online just to see the types of things that are (probably) in-store at TJ and HomeGoods before I go. The items aren't always exactly what's in-store, but they are often similar. Sign Up for Emails Sometimes I don't love being subscribed to a company's promotional emails, but TJ Maxx is really good about sending email-only promo codes like free shipping. Here are my current picks from the home decor section, though they also have clothing, shoes, jewelry, etc. online just like in-store. Aren't ya glad I let you in on my fave little secret? !